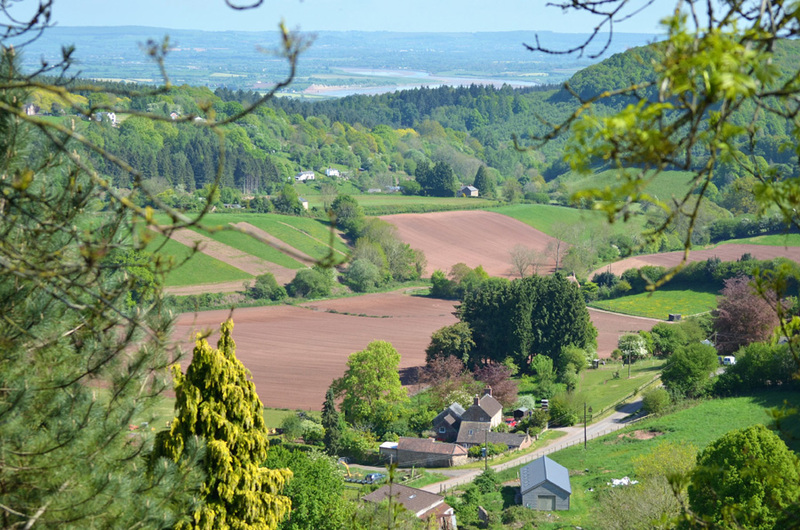 The Forest of Dean is one of the most ancient surviving woodlands in England, it is situated between the picturesque valleys of the Severn and Wye Rivers in an area of 110 square kilometres and is the second largest crown forest after the New Forest. 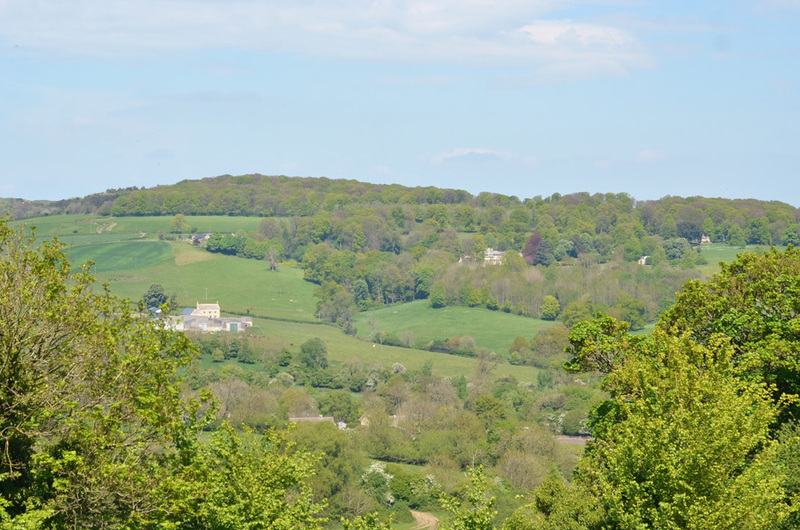 Before 1066 the Normans reserved the Forest of Dean for royal hunting. The name of Dean can be translated as “Land of Danes” following the Viking settlements in that era. 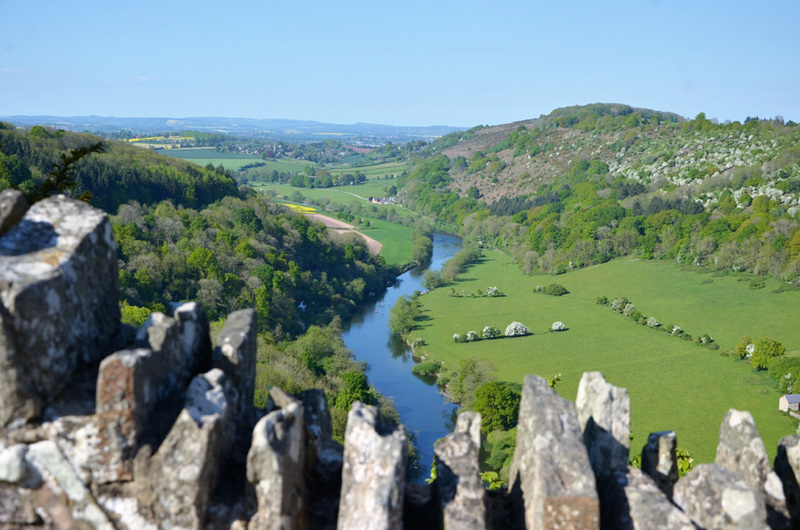 The Wye Valley has been designated as an Area of Outstanding Natural Beauty, as it is one of the most dramatic and scenic areas in England. 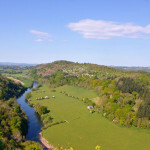 The viewpoint at the gorge of the River Wye is known as the Symonds Yat Rock. The cliff is about 120 m high, with an observation deck at the top in the shape of a balcony with masonry walls on three sides. From this spot you can admire the incredibly beautiful, mesmerising and delightful view of the valley. 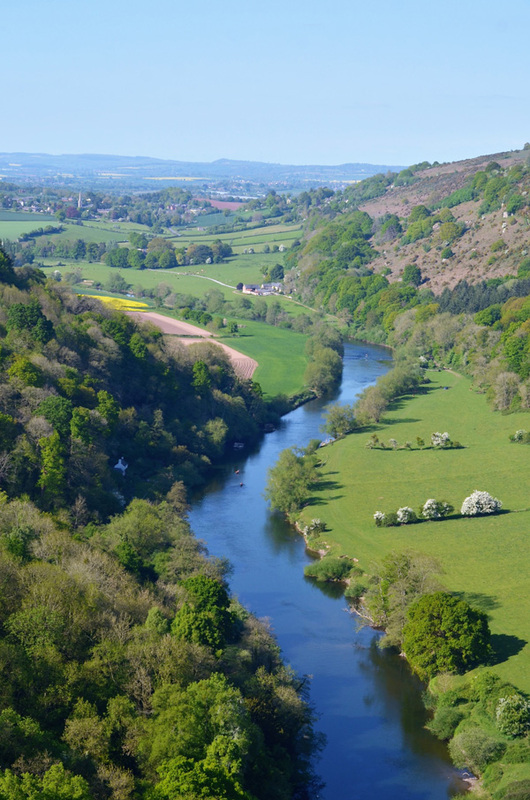 The bend of the Wye River is in the form of a horseshoe, surrounded by cliffs and woodlands. In clear weather, visibility can stretch over several miles. 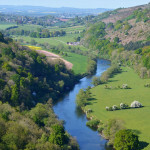 Symonds Yat was named as one of The Seven Natural Wonders of the West County. Yat is the old English word for “gate” or “gorge”. The Rock was named in honour of Robert Symonds, a 17th century sheriff of Herefordshire. 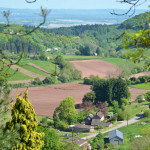 On the sides of the River Wye valley there are the villages of Symonds Yat West and Symonds Yat East, where you will find a number of country pubs and guesthouses. One, called “The Old Court Hotel” in Symonds Yat West, was built in the 16th century and was originally the home of John Graves Simcoe, the founding father of Upper Canada who abolished slavery there. In this village there is also a large caravan camping site and an amusement park. Tourist activities like canoeing and kayaking are very popular here. In addition, a deep gorge in the river Wye valley is popular for rock climbing. The Forest of Dean is unique in its flora and fauna. Here there are deer, wild boars, peregrine falcons that nest annually on the rock, buzzards, goshawks, as well as rare butterflies, such as the pearl-bordered fritillary, wood white, Laminitis Camilla. Also here you will find many deciduous and evergreen trees such as oak, poplar, beech, pine, sweet chestnut, conifer and larch. The Forest of Dean timber was used for building ships for the Royal Navy, including Admiral Nelson’s “Victory”. 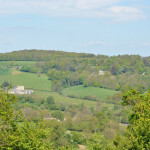 The Forest of Dean is a geographical, historical and cultural region. In the valley caves, archaeologists have discovered the remains of Hyena, Sabre-toothed cat bones and mammoth. Clothes and tools found in the caves confirmed the assumptions about their human habitation during the Iron Age 12,000 years ago. Around 50 AD, during the Roman invasion, the area was used for coal mining and was the earliest use of coal for domestic heating and the preparation of iron ore. During the industrial revolution the region achieved national importance in the production of iron. The steel industry pioneer Robert Forester Mushet (1811 – 1891), started the metallurgical industry and his son invented carbon steel. This extraordinary and amazing natural landscape is the perfect setting for any would be photographer. 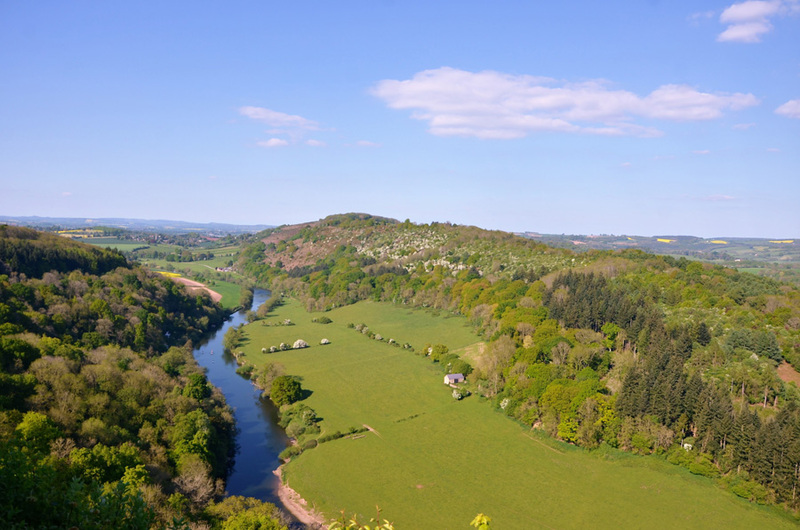 Once visited Symonds Yat Rock will leave you with a lasting impression of a most beautiful grand valley during your travels. 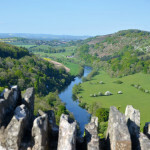 This entry was posted in Nature reserve, Video and tagged Forest of Dean, The Symonds Yat Rock. Bookmark the permalink.